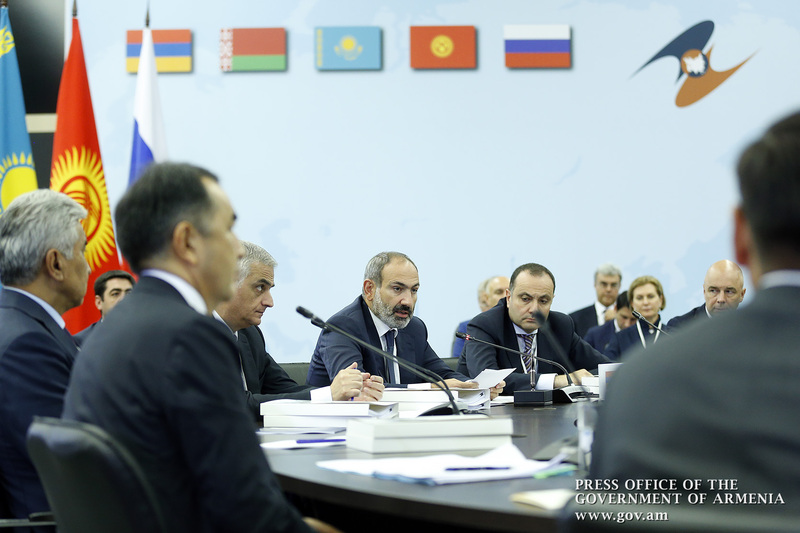 Today, Prime Minister Nikol Pashinyan participated in the regular meeting of the Eurasian Intergovernmental Council (EIC) in Saint Petersburg. 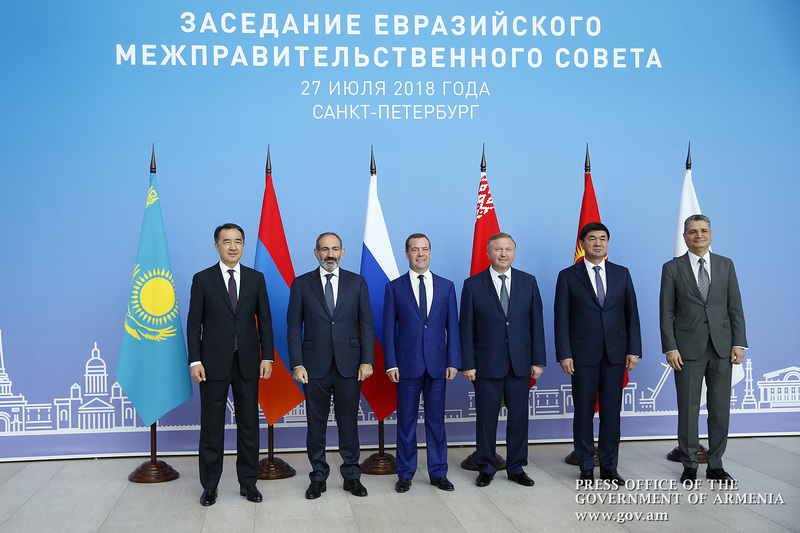 The narrow-format meeting of the heads of EAEU-member States was followed by a joint photo session, after which the prime ministers attended the plenary session of the Council. After taking note of the status of previous meeting’s assignments, the Council proceeded to the agenda. 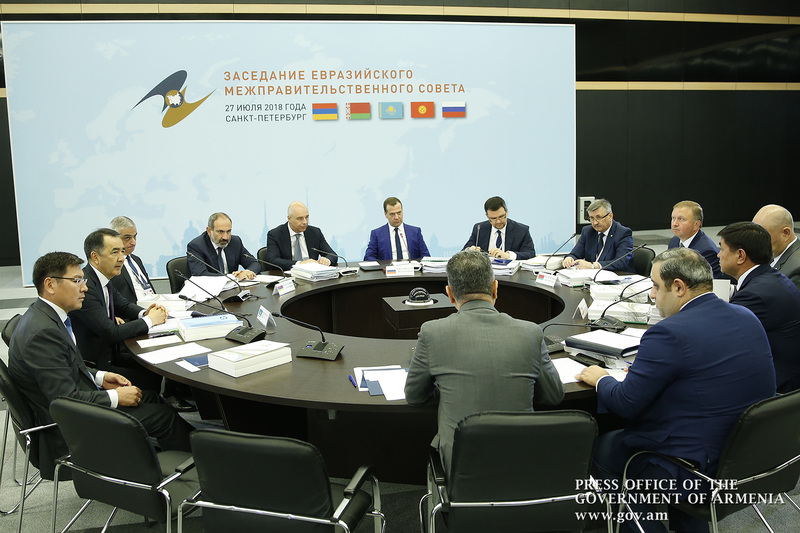 The Prime Ministers discussed issues related to the furtherance of integration cooperation in economy, customs administration, energy, transport and other spheres. They specifically referred to the unified digital agenda, industrial cooperation, interaction in the field of customs administration, and the betterment of the applicable legal and regulatory framework. 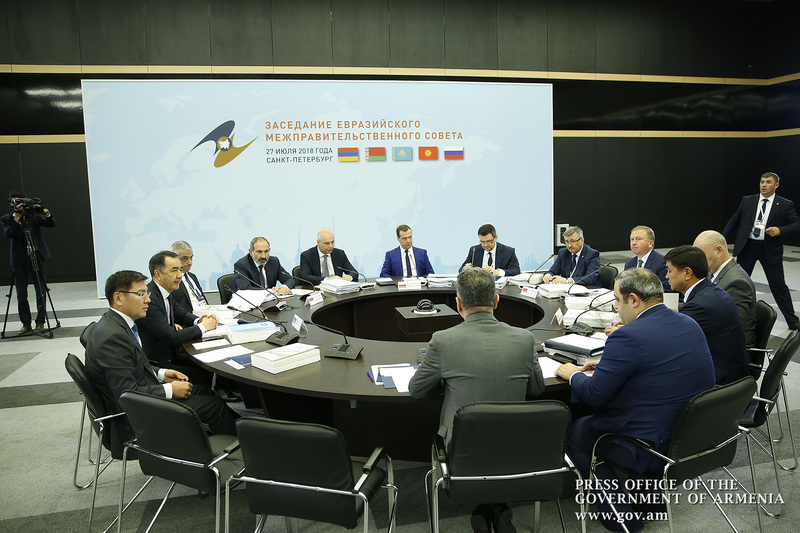 The meeting next considered the possibility of establishing an aviation investigation authority and a common gas market. 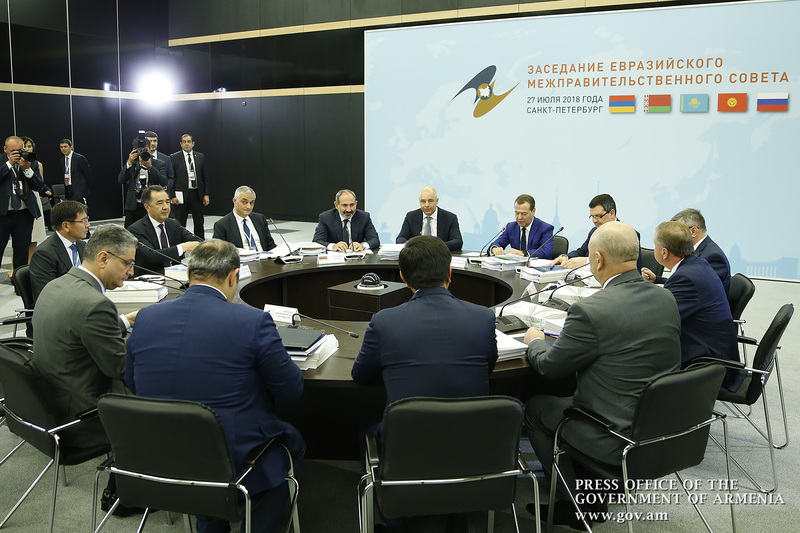 The Council decided to set up a high-level working group to deal with integration cooperation and import substitutions in industry. 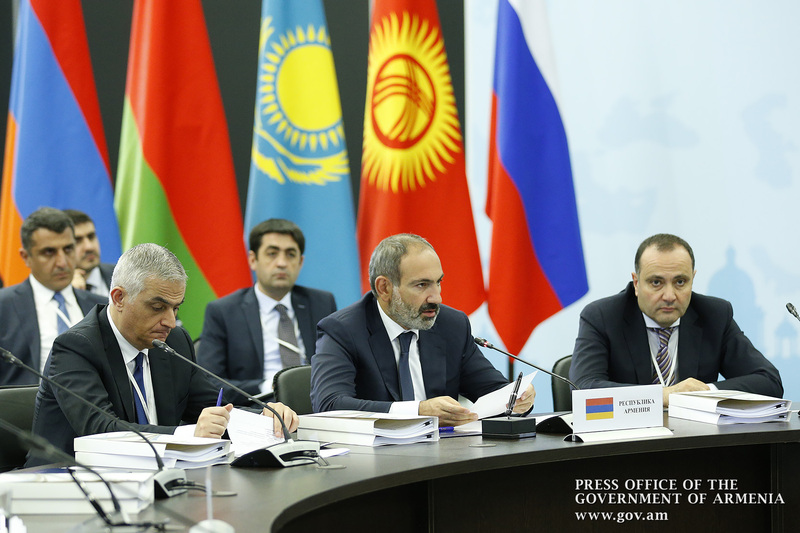 In conclusion, the Eurasian Intergovernmental Council decided to hold the Council’s next meeting this fall in Belarus. 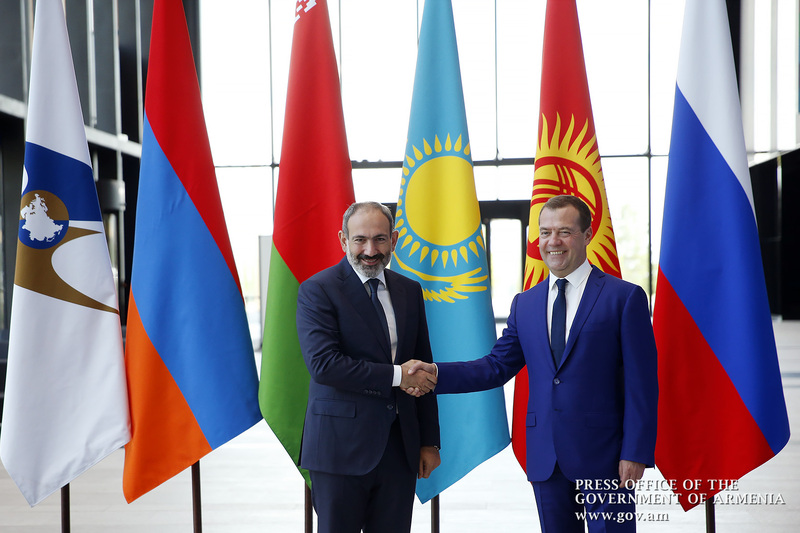 First of all, I would like to thank Head of RF Government Dmitry Medvedev for hospitality and high-level organization of today’s meeting, as well as to express my appreciation to Tigran Sargsyan for the Commission-drafted Eurasian Intergovernmental Council meeting agenda. 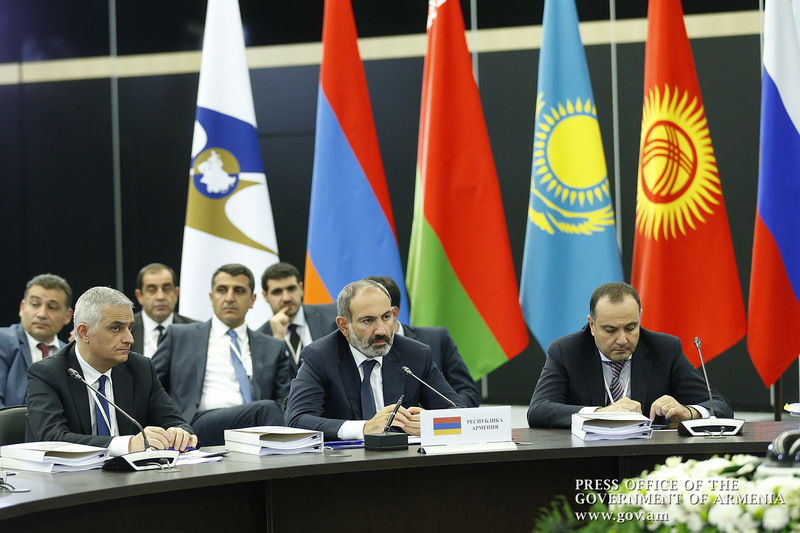 Addressing the Supreme Eurasian Economic Council meeting, held in Sochi in May, 2018, I reaffirmed Armenia’s commitment to its international obligations, including the ones assumed in the frame of the Eurasian Economic Union. 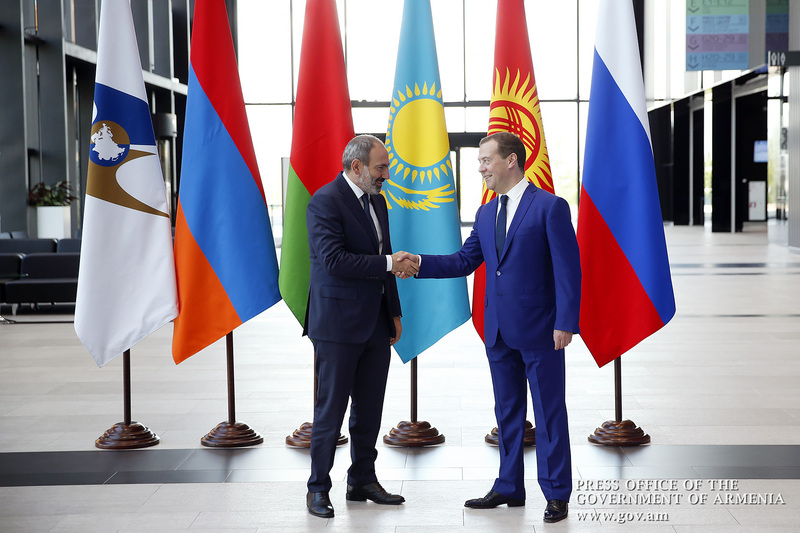 I assured of our readiness and commitment to active cooperation with EAEU partners in a bid to ensure free movement of goods, services, labor and capital under the principles set out in the EAEU Treaty, as well as to modernize and uplift the national economies of member countries. During the narrow panel session, we exchanged views on a wide range of issues. 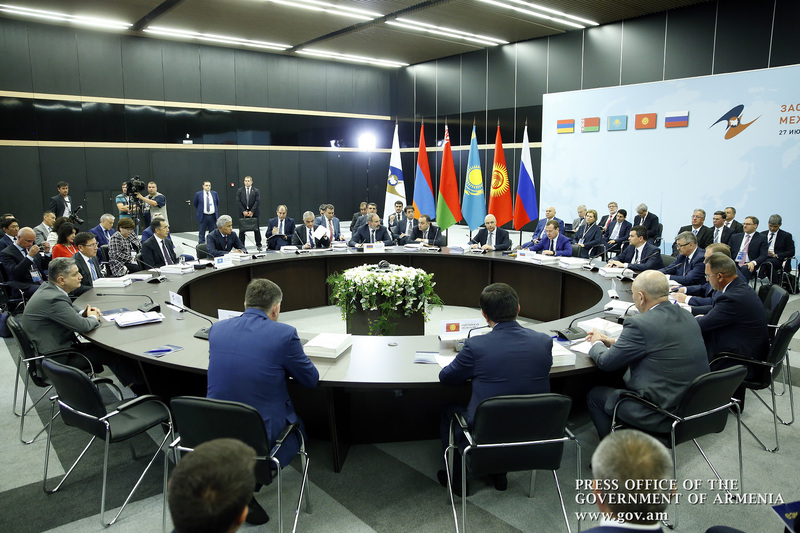 I am confident that the agreements reached today will allow us to take into account the peculiarities of our countries and thereby provide the conditions necessary for the activities of Eurasian Economic Union bodies. Now, I will briefly touch upon some agenda items. 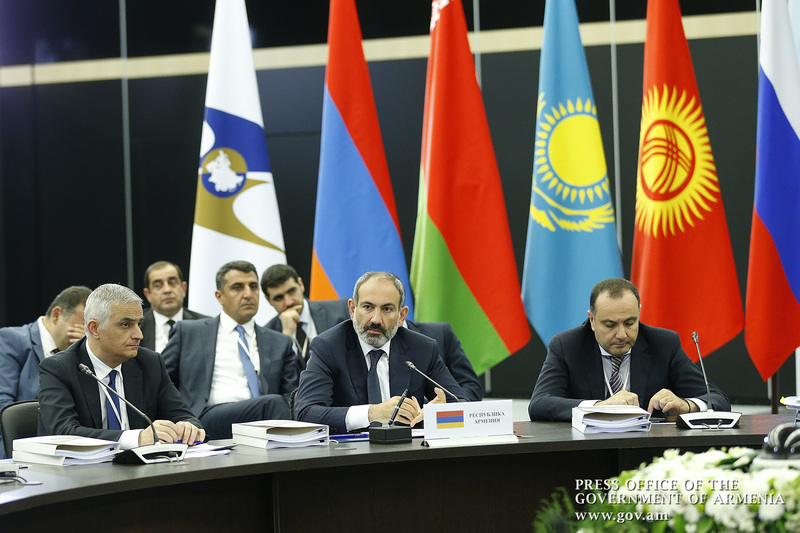 The promotion of the digital agenda is a priority for both Armenia and other EAEU-member States. Our joint efforts in this area are aimed at ensuring the effective functioning of governance systems, a new level of public services which in the end will provide more favorable conditions for achieving the four degrees of freedom declared within the Union. 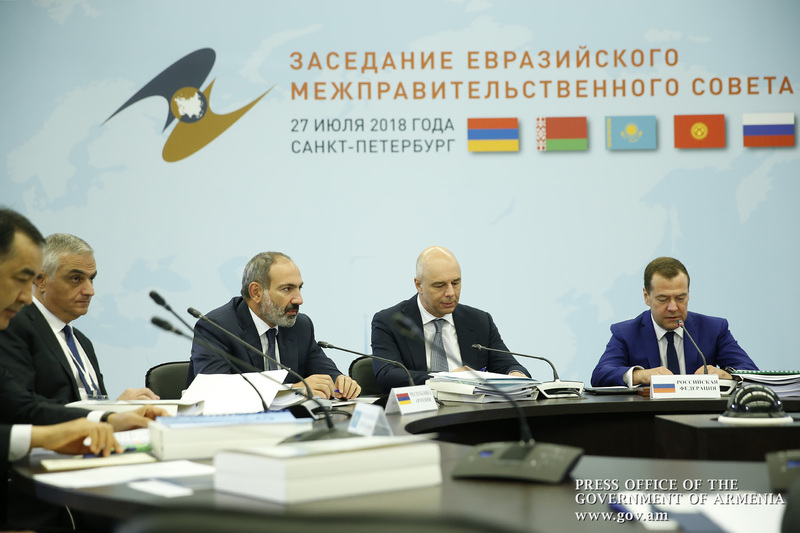 Decentralization and offering equal opportunities for all member States, monitoring of the use of resources, taking account of individual countries’ peculiarities and other principles will allow us to achieve the expected results. This will also help select the sequence of steps and measures based on economic realities and information security priorities. In this context, it would be highly beneficial if we could share experiences in the field of digital transformation, paying special attention to the digitization of public administration, as well as to integration-targeted and cross-border processes. 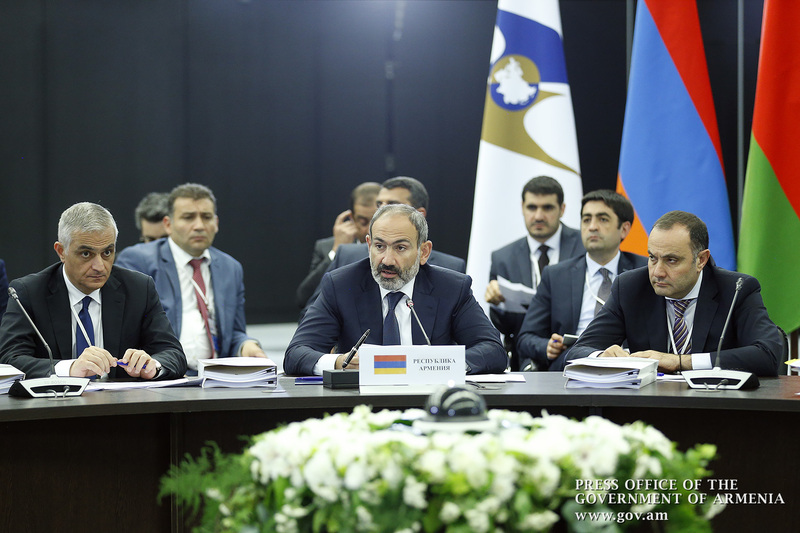 For instance, the Digital Agenda concept has already been developed in Armenia, account taken of harmonization processes within the EAEU. This specifically concerns such topics as the monitoring of the movement of goods, the establishment of a common digital platform, and so on. In the framework of the digital agenda, we intend to achieve such key indicators as the twofold reduction of public spending in the tertiary sector by 2025, 80% availability of online services for citizens, 100% for businesses, 80% broadband internet accessibility for the population and more. 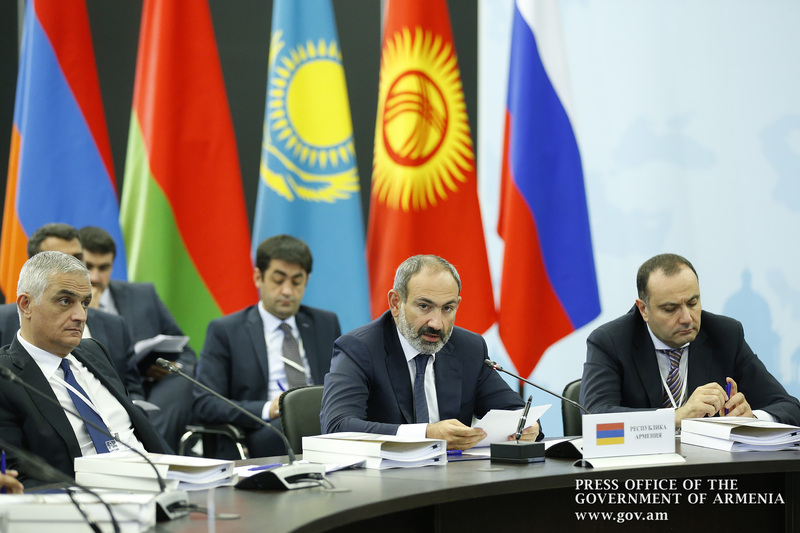 Also, I wish to advise that as part of the ongoing preparations for the Eurasian Week annual forum to be held in Yerevan on October 22-24 this year, an international contest of innovative projects referred to as Eurasian Digital Platforms is scheduled, with the number of participants currently reaching 300. Indeed, our focus is not only on the cooperation in the field of high technologies, but also on the traditional areas cooperation. First of all, I mean the paths leading to the shared markets. We believe that the common gas market will give fresh impetus to economic cooperation between our countries, increase the level of integration and competitiveness of Member States, as well as the reliability, availability and quality of gas supply for domestic consumers. It will also promote healthy competition within the Union which, in turn, will help streamline the pricing process. As regards the establishment of an air accident investigation authority, I would like to note that according to experts’ indications, harmonization in this field may be completed as soon as by this yearend. In this regard, it is crucial for us to rule out the overlap of functions with the International Aviation Committee. In conclusion, I would like to express my hope that the agreements reached today will help enhance EAEU’s effectiveness and provide for our countries’ sustainable development.